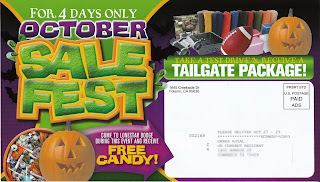 This is from a flyer we recently received from a local car dealership. Wow. Free candy. What an effective way to get me to visit their showroom.